This is bowed granite vanity tops by kashmir gold material. 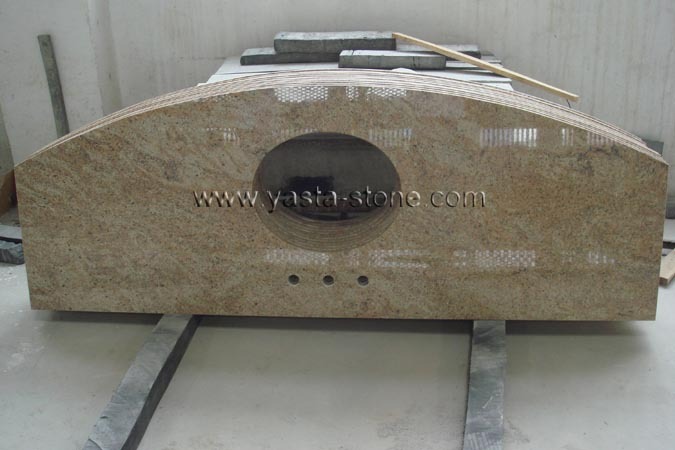 Kashmir gold is an india yellow granite color. We have so much experience to fabricate countertop, vanity top, bar top, work top, table top, tile, wall cladding of this color.